Piggy Nominated for Prestigious Rakuten Marketing Golden Link Award - ExtFans - Download Chrome Extensions From Here! 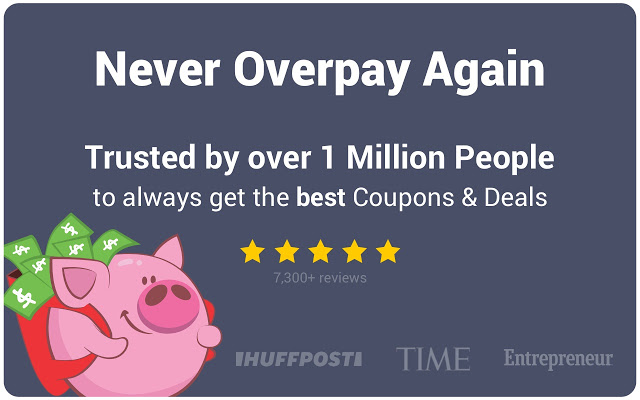 The Piggy Browser Add-On Finds the Best Coupons and Automatically Adds Them to Users' Carts at Checkout. Automatic coupon and cashback company Piggy (www.joinpiggy.com) has won a nomination for "Rising Star Publisher" at the 2018 Rakuten Marketing Golden Link Awards for its meteoric climb as a go-to tool for online shoppers worldwide. The event, held annually in New York City, celebrates excellence and innovation in the performance marketing industry. The nomination comes at the heels of a groundbreaking year for Piggy that included both cutting-edge product rollouts and explosive user growth. The company, which now boasts over one million users for its Chrome extension alone, credits its seamless, user-friendly interface and unique suite of cost-saving features for its rapid rise to the top of the industry. "We're very excited about this. We take great pride in delivering the best deals to our members, and the best customers to our merchant partners," says John Anderson, Piggy's CEO. During its rise, Piggy has developed an appreciative and loyal customer base, who have awarded it a perfect 5-star rating on the Chrome Web Store. The national media and beyond has also quickly taken notice, with recent company features in Time, Huffington Post, and many others. CEO John Anderson views the company's surging base as an opportunity to save online shoppers more money than ever before. "We're a tech company that is driven to create the best product line-up possible, our team is always innovating and looking for new products and ways to increase user savings and merchant conversions," says Anderson, "the best is yet to come."